I tend to talk out loud to myself, so I would say aloud which stack each item was being placed in. Every time I said, "Take to Kenya", it became more and more real: I'm moving across the world...in a little over two weeks. 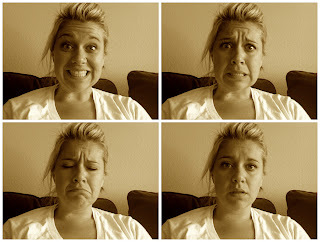 These photos are meant to show my mix of emotions: excitement, nervousness, sadness, disbelief. I go back and forth within minutes--like a crazy person.